After 9/11 the gloves came off in the espionage field and in the war on terror as Western governments grappled with this new and brutal threat from al-Qaeda. 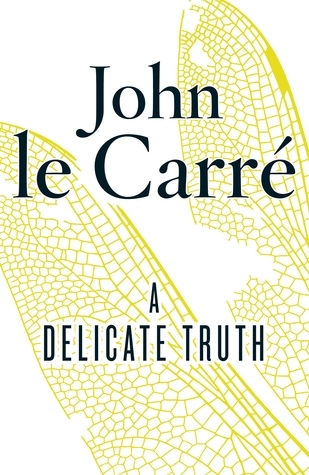 A Delicate Truth is John le Carré’s 23rd and novel and details the conflicts between conscience, duty and the murky wworld of government cover-ups. Toby Bell, a decent young man and private secretary to a British foreign minister, hears of a counter-terrorism operation on the crown colony of Gibraltar. Codenamed Wildlife, the operation is being mounted in Britain’s most important colony. The plan is to capture and abduct a top jihadist arms-buyer. Toby is not cleared for it due to it’s high level secrecy and it is planned by a Foreign Office Minister and a private defence contractor. Throughout the book there is a whiff of le Carré and his own journey through life. The book shows the change in the world of espionage since 9/11 and it’s increasing militarisation. The novel follows Toby as he tries to do the right thing while the plot dances around the Foreign Office corridors. John le Carré at his best.